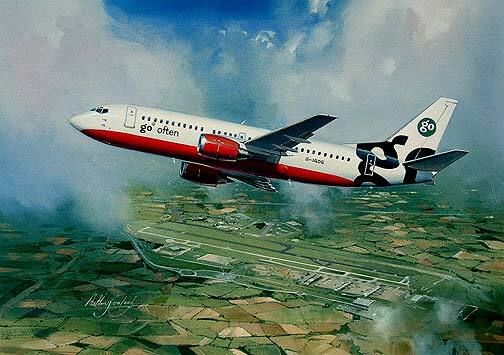 With a very polished image Go low fare airline was started as a no frills subsidiary of British Airways. The airline made its home at Stansted international Airport and proved very popular with all concerned. Now no longer in existence having become part of the Easy Jet empire. Go’s existence can be reflected as being short but sweet by those who flew with them. Released as a limited edition of 250 by the artist Anthony Cowland G.Av.A. Each print signed and numbered by the artist.